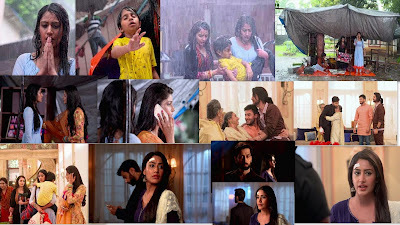 Home ishqbaaaz Ishqbaaaz 28th June 2018 Episode Written Update "Anika comes to Live at Oberoi Mansion"
Ishqbaaaz 28th June 2018 Episode Written Update "Anika comes to Live at Oberoi Mansion"
The house owner humiliates Anika, Manju Chachi warns Anika over Sahil's health. Anika pleads to the house owner, the lady demands that Anika must beg for forgiveness, Gauri tries to stop her. Anika bends to touch the lady's feet, Sahil becomes unconscious, Anika stops and runs towards him. Anika looks for a doctor, Gauri and Anika run with Sahil to see a doctor. The doctor tells Anika and Gauri to save Sahil from the rain as he may catch pneumonia. Anika tries to collect some money. Priyanka comes to meet Anika, Priyanka gets startled to see Anika's condition. Priyanka offers help, Anika refuses to take help. Chachi gets angry. Priyanka tells Anika to be her wedding planner. 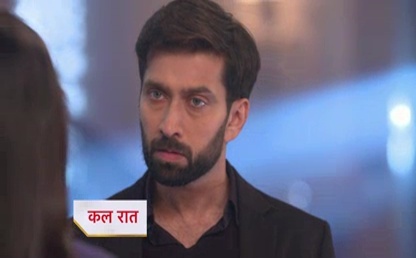 Anika remembers Shivaay's words and refuses the job. Anika says she needs to find a house first, Priyanka tells Anika to stay in Oberoi Mansion quarters. Priyanka tells Anika that since she has saved her life, Priyanka wants to do something for her. Priyanka forces Anika hesitates, Priyanka calls Shivaay to take his permission. Priyanka asks Shivaay for the permission without taking Anika's name, he agrees. Kalyani Dadi returns and addresses Dadi as the elder sister. Both Dadis get emotional. Omkara and Rudra get happy to see Dadi. Shivaay comes, Dadi hugs him. Shivaay leaves for work. Priyanka enters with Anika and family. Anika gets worried about coming across Shivaay. Priyanka introduces Anika to Dadi, and says Anika is the wedding planner for her wedding. Priyanka tells Dadi that Anika and her family will be staying in the outhouse, Dadi gets startled. Manju gets fascinated by the house. 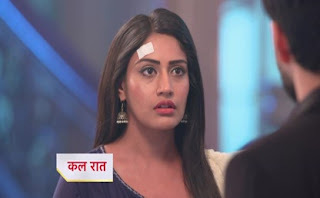 Anika looks for Sahil's medicines, electricity goes off. Manju tells Anika to get a candle. Anika enters the Oberoi Mansion, Shivaay returns home. Khanna sees Anika and gets shocked. Shivaay and Anika miss seeing each other, but Shivaay feels her vibe, Anika looks for the fuse box and walks away before Shivaay can turn and see her. Anika turns the fuse on, Manju gets happy and talks loudly. Shivaay wonders who is in the Outhouse, Khanna tries to cover up. Dadi tells Shivaay that Priyanka's friend and family has come to stay in the Outhouse. Anika explains the situation to Khanna. Khanna reminds her the hospital incidence. Anika says she will not go in front of Shivaay and will find a new house, the next day. Shivaay Switches on the Light and Sees Anika is Standing in front of him.He Asks Her what are you doing So Late in My House? How Dare You Step Inside my House?Anika Just Stares Him.